Front-line workers shouldn’t be fired for blowing the whistle on safety. Their observations need to be taken seriously by managers, says Dr. Sidney Dekker. Dr. Sidney Dekker, safety expert and airline pilot. Employees in the middle of the action know real-world safety, according to Dr. Dekker. As front-line workers, their safety opinions are an asset, not a nuisance. Also, safety is bogged down with bureaucracy. Hear Sidney explain his solutions in this 22 minute podcast hosted by Dan Clark. Prof. Dekker is a noted safety expert. He is author of “Safety, Differently” and “The Field Guide To Understanding ‘Human Error.’” Dr. Dekker is a Professor at Griffith University in Australia, and an airline pilot. Links to Dr. Dekker’s website and publications are in the transcript, below. Dr. Sidney Dekker: I don’t think we should assume that people come to work to screw things up. When they have concerns, then those concerns are legitimate and worth listening to. Hi, I’m Dan Clark. Today were talking with Sidney Dekker, safety expert and recognized authority on human error. Prof. Dekker is a safety speaker, author of many books including “Safety, Differently” and “The Field Guide To Understanding ‘Human Error.’” In his spare time he’s an airline pilot. Hello, Dr. Dekker! Sidney: Hey, good morning Dan. Dan: It’s early-morning in Australia thanks for including us with your first cup there this morning. Sidney: (laughs) Thank you for the patience of allowing me to get the first cup of coffee. I talk better after that. Dan: I didn’t know airline pilots were allowed caffeine. Dan: (laughs) Well, I want to talk to you today about safety observers. Many workers worry they’ll lose their job if they blow the whistle on safety. So how do we solve that? Sidney: So, this is a very critical issue because they’re at the front-line, Dan. Sidney: They see stuff going down in ways that supervisors and managers and directors never will, unless they’re really on-site in ways that are not putting others in jeopardy. Otherwise, they’ll just behave like Boy Scouts. So, if we create a climate of fear and anxiety about reporting safety issues at the front-line, we are missing a lot of valuable intelligence that could help forestall bigger failures later on. Dan: And these workers are, mostly, afraid to report because they think they might get bounced out of the company. And I go “Oh, man, there goes a learning opportunity!” I mean, how badly don’t you want to learn, right, from something that went wrong? Sidney: Yes, of course, of course. And I understand that concern. And, organizationally, that is a legitimate concern. However, I don’t think we should assume that people come to work to screw things up, to do a bad job, or to do, necessarily, an inefficient or unproductive job. They want to go home too. They want to get the job done, right? And, so, we have to assume that people come to work to do a good job. When they have concerns about that, then those concerns are legitimate and worth listening to. And if you decide that, at some point, it amounts to a meaningless or whiny whistleblowing, you can always make that decision AFTER listening to the story. But don’t prejudice yourself by not wanting to listen to it beforehand. That’s stupid. Dan: Mm-hm. You mention in your writing about the just culture—of workers being scared with the just culture. Can you, kind of, explain that for us? Sidney: Normally, we think of just culture as, essentially, asking three questions, right? • Who screwed up here? (As a who violated the rule). • How bad was that violation? • What should the consequences be? And so, when you follow that script once again, which is really quite typical for just cultures, right? So, “Who made an error or violation?” “How bad is it and how egregious or culpable is it?” And then “What should consequences be?” And when you follow that script the worker is almost always at the losing end. Well, the cute thing is that “negligence” and “recklessness” are not human performance or psychological terms. They don’t even exist in psychology. These are legalistic terms. And these are judgments that someone will have to make about someone else’s performance. And so the question is “Who gets to make that judgment, right? “Well, why would they say that?” Because they have something to gain from saying that. Because they don’t want to get blamed. They don’t want to look bad. So, of course, it’s always the worker, if you ask the supervisor. And so, if you ask the supervisor or manager to draw that line, you can bet ’cha that that line is going to be in a place that’s very unfair to worker. If you ask colleagues of the worker, the peers these guys work with every day, I think you get that line in a completely different place. People will say, “No, that’s not reckless. Hell we do this every day.” Right? Sidney: “In order to get the job done.” Right? “Because we need to use a length of pipe as a lever for this wrench to work because the tools are inadequate to the job,” or “the nuts are too tight” or whatever, right? And so, if you ask people who understand, intimately, the messy details of the job, you are very likely to get a more fair response to that sort of just culture. So, those are important. So, who gets to draw the line? Do they have a stake in the outcome once they’ve drawn the line? Sidney: If they do, then it’s not going to be very just. Dan: Oh, that makes sense. Sidney: And we’ve learned this from the Romans, onward. Like 2000 years, we’re really struggling with this. Right? We understand that a judge needs to be independent. That is, they should not have a stake in the outcome. Well, guess what? Supervisor or managers DO have a stake in the outcome. They do have a stake in the judgment because they stand to look bad if it reflects on them. And so you should try to get an independent view on this as much as you can. And the final thing that I find very difficult with that sort of just culture is there’s hardly ever a serious opportunity for appeal. That is, workers can’t go back and say “Man, I disagree with this finding. This is unfair. This makes no sense.” And where do they go? Their union, if they’re even a member? Sidney: If you want to do justice to people, we’ve learned, a long time ago, you’ve got to give people the opportunity for appeal, because human judgments are open to error. Right? (laughs) Everybody’s judgment is open to error, even those who make just culture decisions, so there should be an opportunity for appeal. Sidney: BUT! And so, Dan, here’s the clinch. My whole spiel is this. Yes, you can do a just culture that way. And if you put some of those protections in place, like independent judges and appeal, yeah, that works. And it’s all very bothersome and more bureaucratic and difficult to administer. Dan: So you’re coming at it as a doctor instead of a lawyer! Sidney: That’s exactly right as a doc. As somebody who heals. Sidney: Right? And so I think that’s critical to understand. If an incident happens where people get hurt, a lawyer would create more hurt with those questions that which is ran through the previous just culture idea, right? Now, you could certainly argue that if an incident happens, colleagues could be hurt as well. Supervisors can be hurt. Right? Their image can be hurt. Their standing. Their trust and confidence they have in their workers. All of that can be hurt. And, so, it’s not that the worker, in this case, doesn’t have any obligations. They do. They absolutely do. They have the obligation to restore trust. They have the obligation to gain the confidence of their supervisor or manager again, that they’re actually worthy of keeping on the job. Right?Am I making sense? Dan: Well, absolutely. Yeah, the trust has to be both ways. Sidney: That’s exactly right. So, there’s needs and obligations in all ways. And, so, it’s not just a one way “Oh, we’ll get the worker of the hook because they got hurt.” No, no, no, no, no. The worker has obligations toward the manager, colleagues and company as well. Right? And those need to be identified and those obligations need to be met. But, you do that in conversation with each other, rather than pointing the finger at each other. At the end of the day it’s just a meeting between people, man. We shouldn’t make it that judgmental or difficult. Dan: When you have the independent group to make a judgment on who was to blame or what went wrong, do you have a cop, a priest and a judge review the information? Or, how do you do it? Sidney: (laughs) No, because…so, the issue is the cop, the priest and the judge typically don’t have knowledge of the messy details of how work gets done. Sidney: So that’s really critical. What you’ve got to understand is that, you know, we might believe that work gets done because people follow the rules. That’s nonsense. Sidney: And so, yeah, they’ll follow some rules. But they’ll follow a lot of other rules that are unwritten, that are inofficial that are not condoned, that are, in fact, at odds with the formal rules or the written guidance that they have for the job. Alright, and that goes for flying a jet. You either follow all the written rules or you fly the damn jet. You know, which would you like? Sidney: Alright? And so, but seriously, right? And every pilot in the world would know that. Sidney: That’s because the world is always more complex and dynamic then we can capture in written rules and procedures. Sidney: Right? And goes for construction jobs from high to low. There’s always a gap between how we think work gets done and how work actually gets done. And if we stand in judgment over those who do the actual work without us understanding how work really gets done, then we can never render a fair judgment. So we need to understand the messy nuances, the messy details of how work actually gets done. There’s many ways in which we, you know, when you look at construction sites and spend some time there, as you undoubtedly have, right? You’ll get guys tell you “Oh, here, let me show you how it’s done.” And as soon as you hear that remark, you know it’s not the book. Sidney: It’s experience. It’s “I’ve done this many times before. Let me show you how it’s done.” So there’s informal training and informal teaching going on. And there’s informal masters and pupils running around that are not identified by the formal organizational structure. Well, you’ve gotta be sensitive to that sort of thing if you want to stand in judgment over your fellow workers. Otherwise, guess who’s going to look like an idiot? Sidney: It’s the one pronouncing the judgment. “They don’t know what the hell they’re talking about.” They lose their credibility. They lose their confidence and trust of the workers immediately, if that’s what they do. So, no, I think, so not a policeman, a judge and a priest. I think it’s, rather, people who do the work every day. The peers. Dan: Their peers. So, the jury OF their peers and not the judge, who makes the decision. Sidney: That sounds entirely reasonable and consistent with the founding of your country. So, exactly, yes. Sidney: (laughs) Oh, this is not easy but I’m happy to talk more. But not now! Dan: You’re saying “When the world zigs, you zag.” Safety’s bogged down with bureaucracy. Tell us about that. Sidney: Okay, so, now Dan, that’s an absolutely, an awesome point. The bureaucracy of safety is overwhelming and it gets in the way. Everybody who listens to this undoubtedly has their own experiences with bureaucracy getting in the way of getting work done. And getting work done safely, for that matter. Sidney: And so, there’s many examples of that. We can put numbers on it, which, I don’t even think that’s necessary, because the evidence for the increasing and stifling bureaucratization of safety is overwhelming. The first is that people are the problem. The workers are the problem. Workers are the problem that we need to control. Second, we exercise that control by intervening in our workers’ behavior. We tell them to behave differently. We tell them to act differently, to lift differently, to listen, to change their attitudes and beliefs, to follow the rules. So, we have safe work observations and they’re all organized around people’s behavior. And that’s where we intervene. We’ve got behavioral safety programs and all of that. Dan: Right. People didn’t report them, then they didn’t get logged, right? Sidney: Well, Dan, you’re saying because that’s exactly the fourth point that I think is deeply destructive about that sort of safety, which is rather than safety as an ethical responsibility FOR people, we have changed it into a bureaucratic accountability TO people. Sidney: Alright? And, so, I think that’s an awesome shorthand for saying that we are easily tricked into fraudulent practices that make evidence that injury and incident go away. Sidney: That, I think, is not only dumb—because we don’t learn anything—but also immoral, because we deny the suffering that actually happens. Workers who are hurt, we basically say “Ah, we will, we will ‘case manage’ this one.” So, we’ll first-aid it so doesn’t become an MTI, or whatever. and so we deny or downplay the reality and humanity of their suffering. Dan: People like to look good. Dan: They keep their insurance rates low. Sidney: Insurance rates, but also you can’t get the next contract if your numbers of negatives don’t look good. So that’s what we need. It’s not just a moral appeal. This is a whole practical inversion. That’s what “Safety, Differently” does. Sidney: People on the sharp end—on the front end—of practice, ARE the solution to your safety issues because they face them every day. Sidney: And they’ve probably got some really innovative ways of dealing with it. And, if you look carefully on construction sites, you will see workers finishing the design, finishing the procedure all the time because these things are fundamentally unfinished. They require all kinds in nursing and innovation at the sharp end in order to make it work in practice. Sidney: …that I flew, which has been around for about 50 years, you know, in different designs. But that design, after all those years and you buy a $55 million jet, and it’s still not finished. Sidney: I’ve seen pilots wrap paper puke bags around the engine bleed switches so they don’t forget to switch it on in a particular situation. Right? Sidney: In other words, the cockpit isn’t finished! The design is unfinished. So, that’s what I’m trying to say. People are the solution. They’re not the problem. They come with these nifty ways to make success happen. To make work happen. And to guarantee success. They’re not the problem, they’re the solution. In order to intervene meaningfully, we shouldn’t intervene by telling them to be more careful or try harder, because they do that every day. They don’t come to work to do a bad job. We should intervene in the conditions of their work. If we identify, for example, confined spaces. I just had a conversation with a chemical company a few days ago. They said “We had a large problem with confined spaces and serious risks.” And so, yeah, the first impulse was to manage those risks by telling the workers to be more careful. Then putting more people on the lookout and all of those standard responses. But, then the guy told me “You know what we did? We went through all of our sites and we removed something like 936 confined spaces that actually weren’t really necessary. And then, I think—and this needs to be a completely different conversation between the insurers and the contractors and the clients—which is “Rather than measuring safety by an absence of negatives,” as in, “Oh, we had so few LTIs and MTIs last year.” No, because they’re not convinced by that because we know how fraudulent those numbers easily become. Sidney: What we need to do is show the numbers of positives. What are the positive capacities that your business has to make safety happen? Well, we have this program that allows people the courage to say no. And it’s more than a stop-work authority little card around your neck—which is really just like a Adam’s fig leaf. “Oh, I’ve got a stop-work authority!” You know. Sidney: And so, that means nothing if you hadn’t haven’t got the climate or culture to back it up. So, what positive things are you doing at your workplace to promote safety? Sidney: Measure safety by the presence of positive capacities rather than the absence of negative events. I think if we turn it around like that and have that conversation—site level, insurer level, regulatory level—we can slowly become, get into a place where safety is done differently. Dan: More proactive and less reactive. I love it. Sidney: More proactive and less reactive. Yes. Dan: Well, last question. I know that you’ve got a time constraint. Here in the United States OSHA just published rules for the first time on confined spaces for construction. Dan: And they’ve been working on these since… 1994! 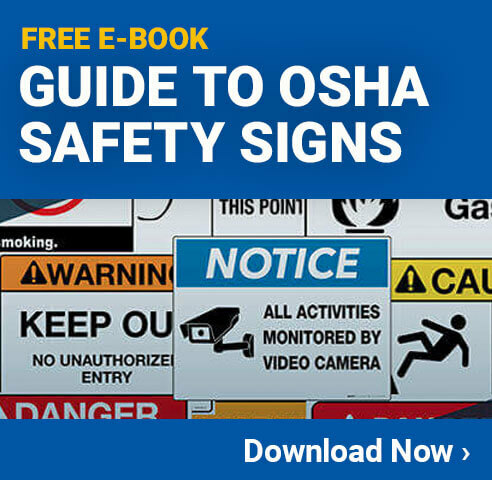 Is OSHA of the bureaucracy problem that you’re talking about? Sidney: (laughs) No, they’re not the ONLY bureaucracy problem. What’s fascinating is—I mean, yes, there is that, obviously. And there’s some other some other things peculiar to how you guys solve it in the US, which is a surprisingly punitive regulator who is not able, or even allowed, to attain the role of advisor or consultant because things do go wrong. Then they may be blamed and they might not have teeth in court afterwards. It creates adversarial relationships that are not conducive to honest exchange of safety-related information, which, I think, is stupid. At the end of the day, we’re all in this together. You look at the US construction industry, right? More than 800 guys killed last year, alone, I think. Sidney: “If we keep doing what we’re doing, we’ll just have another 800 guys plus killed this year.” Right? And so, is that we want to do? But, is OSHA the bureaucratic problem that we need to attack? No, no, because they’re not alone. If you look at the numbers, Dan, and is really scary, a lot of the rules that we abide by in construction are made by organizations themselves, imposed on contractors. Sidney: And so, for example… or even the client itself imposing it on itself. When you look at the numbers in this country where I currently live, Australia, about two-fifths of all the rules associated with compliance are generated internally. They’re not imposed by the regulator. Dan: Wow. It’s certainly different here. No, no no. Let’s first look inside, right, in how much we are creating, in terms of bureaucracy, ourselves. Sidney: That is certainly true. Dan: Please give us a little information about your website and how people might be able to get any of your, what, 10 or 12 books that you’ve written. Sidney: Yeah, of course, of course, Dan, because this 20 minute conversation is highly condensed relative to all the topics that we can talk about. So, yeah, my website is SidneyDekker.com and just be sure to spell it correctly. Sidney spells the same as kidney. Well, with a K then. So S I D N E Y. Dekker spells D E double K E R. So, that’s Dutch. Sidney Dekker, S I D N E Y D E K K E R . com. SidneyDekker.com. Papers, films, all kinds of resources available there for your listeners. Dan: Well, I attribute the great content there on that site to a dedicated career in safety and what you’ve spoken about today. So, thanks very much for your time today. Sidney: Very much my pleasure, Dan. Thank you for your time. Thank you. Dan: Our guest is been safety expert Dr. Sidney Dekker and we spoke with him from his office in Brisbane, Australia. Thanks for joining us. I’m Dan Clark. OSHA Fact Sheet for front-line workers: Your Rights As A Whistleblower. Sidney Dekker images and books © ℗ 2015 Sidney Dekker.